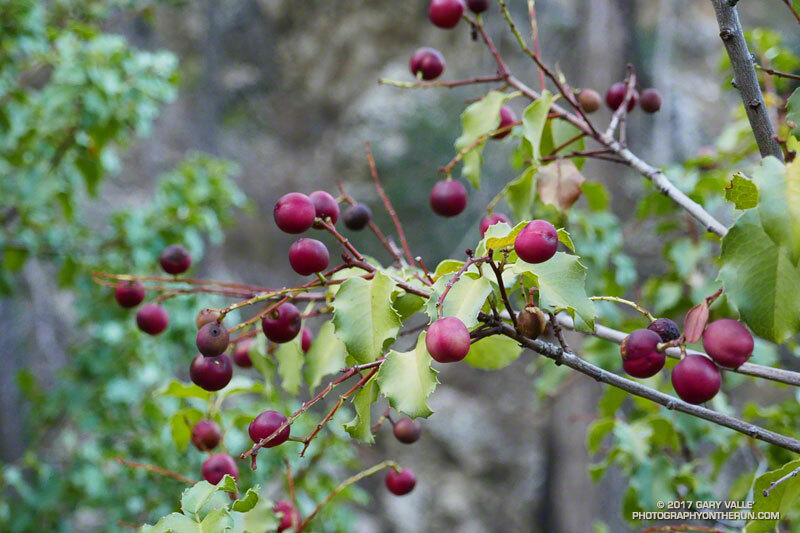 Photography on the Run: Holly-leaved cherries look similar to a cultivated cherry, but the fruit had a huge pit and the pulp is very thin. When available, bears and coyotes eat them in large quantities. Holly-leaved cherries look similar to a cultivated cherry, but the fruit had a huge pit and the pulp is very thin. When available, bears and coyotes eat them in large quantities.